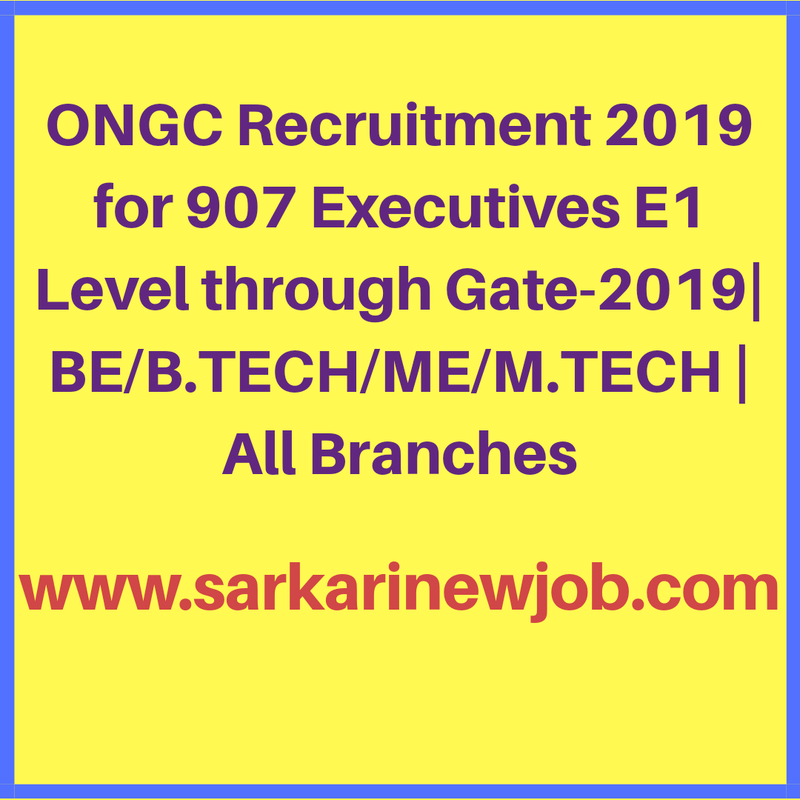 ONGC Recruitment 2019 for 907 Executives E1 Level through Gate-2019| BE/B.TECH/ME/M.TECH | All Branches - Sarkarinewjob.com A ultimate job portal to provide employment news. Oil and Natural Gas Limited (ONGC) Executive Jobs Notification: Oil and Natural Gas Corporation Limited (ONGC) has invited applications for the post of Class I Executive (at E1 level) in Engineering and Geo – Sciences disciplines through GATE 2019. ONGC has notified more than 900 vacancies of Class I executive (at E1 level) for its various plants located across the country. The application process will be completely online and candidates will be required to pay application fee through online mode only. CTC: Approximately INR 19.48 Lacs at E1 level.